Smoking a drug is the fastest way to get it to reach the brain. However, it can also increase the addictiveness of the substance. Drugs that can be smoked include marijuana, cocaine, heroin, methamphetamine, opium, PCP, ketamine, and mescaline. Regularly smoking a drug can lead to lung problems, heart problems, infections, and diseases. Secondhand smoke from drugs does not appear to be as much of an issue as it is with cigarettes. What Happens When You Smoke a Drug? 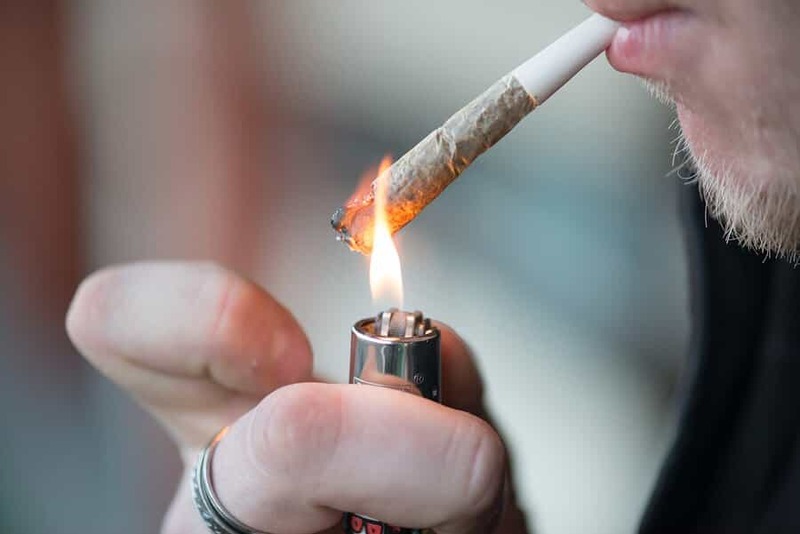 Is Marijuana Smoke as Bad as Cigarette Smoke? Most movies depict cocaine use the same way: lines of the drug on a mirror being snorted through a dollar bill. However, snorting cocaine is not the only way of using it. In fact, it’s not even the fastest way of delivering the drug to the brain. Cocaine can be smoked in a freebase form or as crack. Smoking the hydrochloride salt form will destroy it.11 Many people put the freebase cocaine at the end of a glass pipe, light it, and inhale the vapors. Is Vaping Safer Than Smoking Drugs? Many seemingly contradictory statements have been made about whether vaping is better than, the same as, or worse than smoking. Suppressed genes related to immune response. Changes in gene activity that affects mental illness and behaviors. Potential risks to the cardiovascular system. Potential increased risk of atherosclerosis, a form of heart disease. Suppressed immune system effects from flavorings. Why Do People Smoke Prescription Pills? Are There Associated Risks of Secondhand Smoke From Drugs Other Than Tobacco? Secondhand smoke from cigarettes has been cited as creating a major risk for lung cancer and other diseases in people who don’t smoke themselves. But is secondhand smoke from other drugs also harmful? Due to the many dangerous health effects of smoking, it’s important to seek professional addiction treatment as soon as possible if an addiction is suspected. Using specialized services significantly increases the chances of getting on the road to recovery in a long-term capacity. McGill University. Routes of Administration. Center on Addiction. (2017). Commonly Used Illegal Drugs. Volkow, N., Baler, R., Compton, W., and Weiss, S. (2014). Adverse Health Effects of Marijuana Use. New England Journal of Medicine, 370(23), 2219–2227. National Institute on Drug Abuse. (2016). What are the long-term effects of cocaine use? University of Arizona MethOIDE. Heroin: Medical Complications. Peters, R., Williams, M., Ross, M., Atkinson, J., and McCurdy, S. (2008). The Use of Fry (Embalming Fluid and PCP-Laced Cigarettes or Marijuana Sticks) Among Crack Cocaine Smokers. Journal of Drug Education, 38(3), 285–295. American Lung Association. (2018). Marijuana and Lung Health. Tashkin, D.P. (2013). Effects of marijuana smoking on the lung. Annals of the American Thoracic Society, 10(3), 239-47. Polen, M.R., Sidney, S., Tekawa, I.S., Sadler, M., and Friedman, G.D. (1993). Health care use by frequent marijuana smokers who do not smoke tobacco. Western Journal of Medicine, 158(6), 596–601. National Institute on Drug Abuse. (2007). Snorting vs smoking cocaine: different addictive liabilities. CBC News. (2016). E-cigarettes ‘much safer than smoking,’ some experts say. Korte, A. (2016). Alternative Tobacco Products May Be Just As Dangerous As Cigarettes. American Association for the Advancement of Science. Kelly, B., Vuolo, M., Pawson, M., Wells, B., and Parsons, J. (2015). Chasing the Bean: Prescription Drug Smoking among Socially Active Youth. Journal of Adolescent Health, 56(6), 632–638. Herrmann, E. et al. (2015). Non-smoker exposure to secondhand cannabis smoke II: Effect of room ventilation on the physiological, subjective, and behavioral/cognitive effects. Drug and Alcohol Dependence, 151 (1), 194-202. Cone E.J., Yousefnejad D., Hillsgrove M.J., Holicky B., Darwin W.D. (1995). Passive inhalation of cocaine. Journal of Analytical Toxicology, 19(6), 399-411.